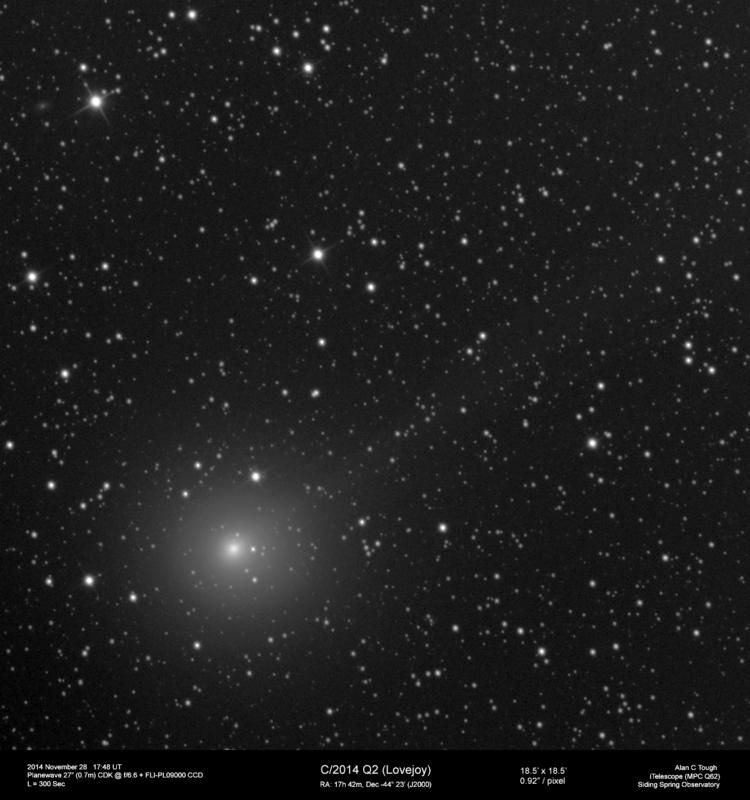 C/2014 Q2 (Lovejoy) taken from Siding Spring on November 28. Unfortunately the tail detail isn't great but I think there was some thin, high-level cloud in NSW. A promising comet though!